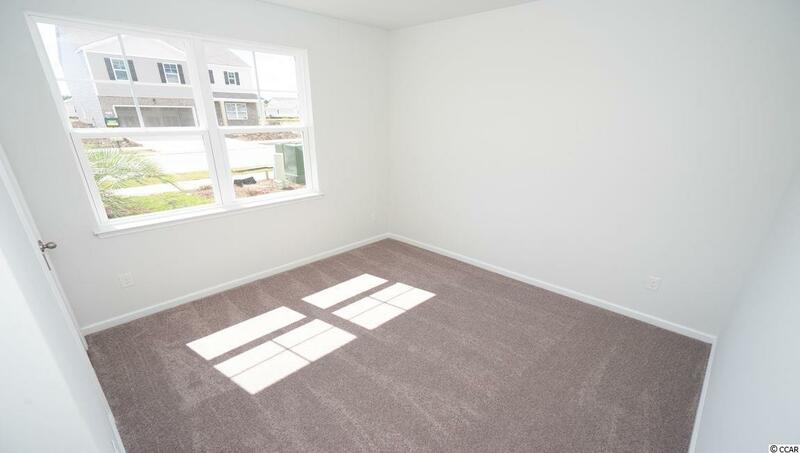 This Cali is a great open floor plan that offers a 4th BR or Flex Room. Ready for move in! The spacious kitchen offers plenty of cabinet and counter space with a large walk-in pantry and stainless appliances including refrigerator. The oversized granite gourmet counter height island with pendant lights overlooks the Living Room and Dining Room which is perfect for entertaining. Huge owners suite with a great size owners bath that offers double bowl vanity, 5 ft. Walk-in shower and large walk-in closet. Sliding doors off the dining area lead to the 8 x 10 covered porch. 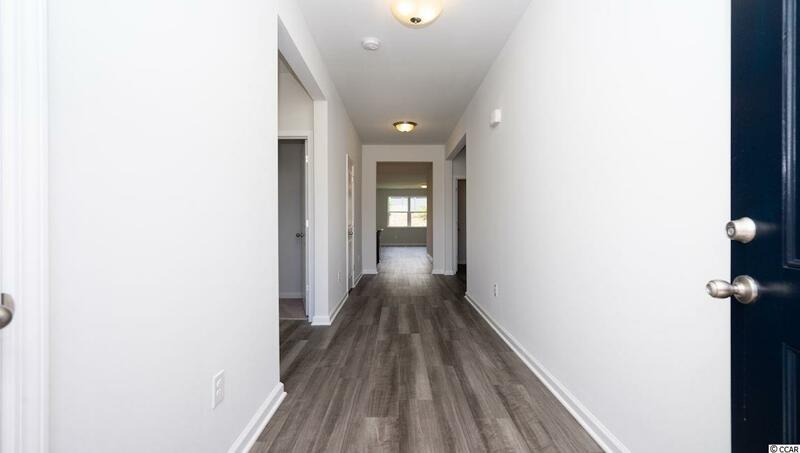 Home has solid surface flooring (resilient hardwood-look vinyl) throughout main living areas, bathrooms and laundry room. Washer, dryer and garage door opener included! Be the first to live in Meridian at Market Common. The Meridian will offer 200-300 new homes, featuring 8 floor plans both ranch and two story homes. We are the price-leader for single family homes in Market Common! 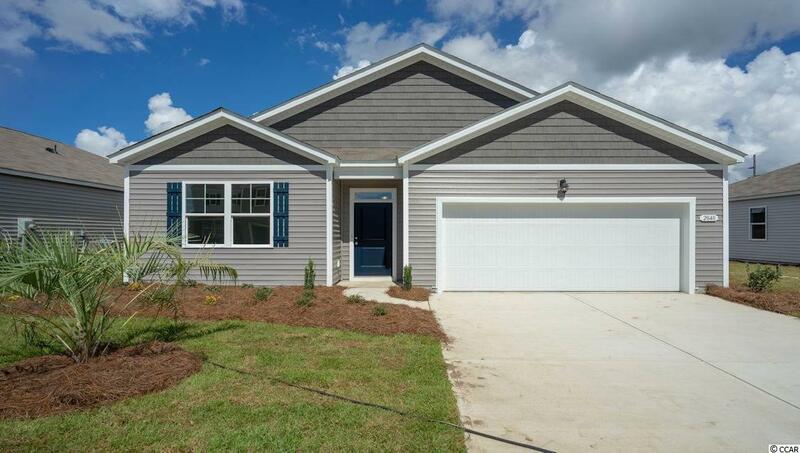 Our home owners will enjoy a gracious pool, open air amenity center, pickle ball court, walking trails and a short golf cart ride to the beach. Live like you're on vacation! 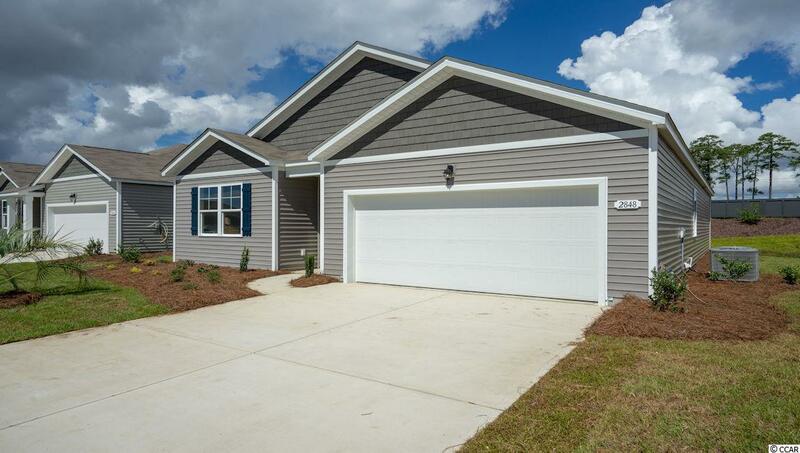 Photos of home are of a model home of same floor plan in another community and are for presentation only.